The most important element to think about when supporting an event is the long lasting impact it will have on your business. Apple Hill Stables wants you to understand that not only will your sponsorship dollars be benefiting a new and exciting event in the area, but money raised for this event will go to the local Cancer Care facility. Together, we can make a difference in someone’s life! 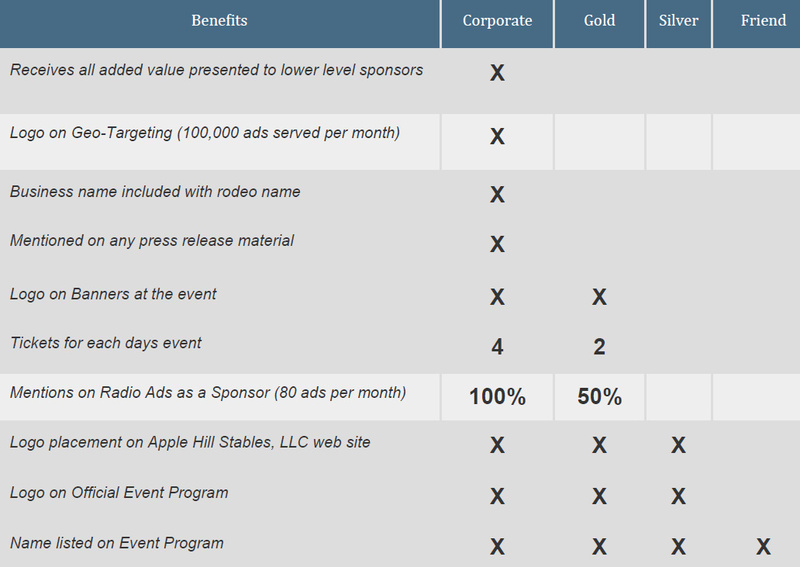 Please take a moment to review the sponsorship levels below and determine which bracket best benefits your business. We look forward to working with you! Click on the buttons below to view our current sponsors.